Attic insulation is especially important for homes in the Nashville, TN, area because of the region’s wide spectrum of weather conditions. You need your home to stay both warm during the chilly winters and cool throughout the sweltering summer months. Without adequate insulation, your home may not have a comfortable interior temperature any time of the year, your utility bills could skyrocket, and your HVAC unit could become overtaxed. Thankfully, the home improvement experts at 31-W Insulation can help you select right type of attic insulation to help prevent outside air from infiltrating your home. CertaSpray® – This product not only provides outstanding thermal performance but even adds structural integrity thanks to its rigid design. InsulSafe® SP – Unlike other types of blown-in insulation, this product is specifically engineered to provide complete coverage, maximizing its insulating power. Our talented team can help you choose which type of CertainTeed insulation will keep your home – and your family – comfortable year-round. And, because we’re a full-service company, you can count on us for all your other home improvement needs. So, whether you need a new garage door for your Goodlettsville home, seamless gutters for your house in Millersville, or you’re interested in having one of our closet systems installed in Murfreesboro, you can count on 31-W Insulation. 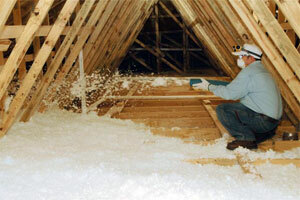 Contact us today to receive a free estimate for attic insulation or any other product for your Nashville, TN, area home.